My 12 Favorite Pics of 2012! With the ending of another year, I went through and picked my favorite picture for each month in 2012! 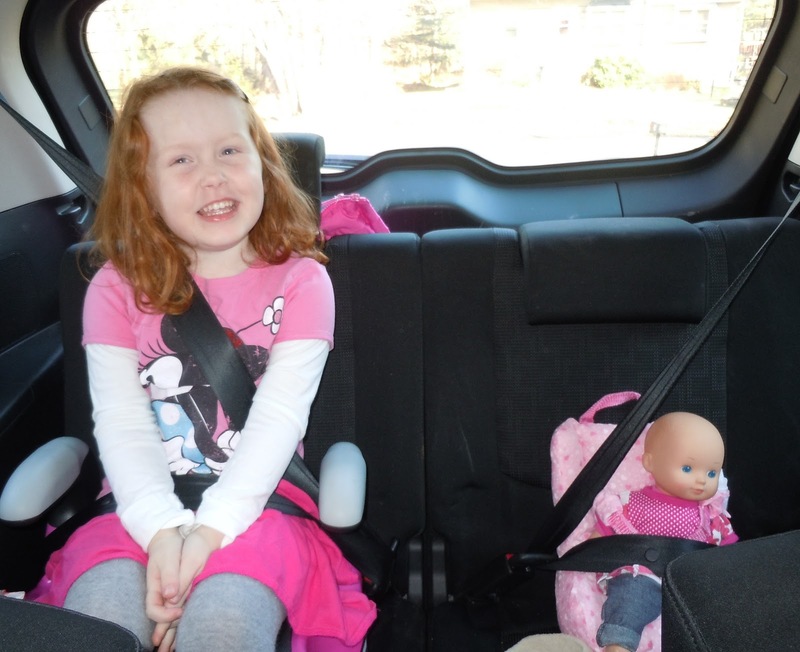 January 2012: Isabelle and her beloved Dolly taking a ride to visit their new cousin, Scarlett. February 2012: Annie and I had the time of our lives at Blissdom and got to meet Rascal Flatts! March 2012: Best bunny picture ever. April 2012: Daniel loves Sour Cream and Onion Dip as much as I do. June 2012: The kids enjoying our (then) newly completed swingset! July 2012: Summer ice cream at its finest! August 2012: Henry having some beach fun! September 2012: This year we were able to celebrate my husband's great aunt's 100th birthday! November 2012: This is Henry and his favorite cousin, Sammy. Both are notorious bad picture takers and in this one they appear drunk on juice boxes. I love it! December 2012: Does the Henry hug get any cuter? The plague is slowly but surely leaving our house. There's still mild fevers, runny noses, and coughs but luckily we were well enough for the kids to enjoy the first real snowstorm of the season this morning. I say for the kids to enjoy since no part of me enjoys any part of the snow! We are now huddled back under blankies and taking it easy for the rest of the day. I hope everyone is staying warm, dry, and germ-free this weekend! In case you somehow missed my Facebook posts or my shouts from the rooftop - I'm sick. I've been sick for what seems like an eternity now but really is just since Friday. I had a lingering cough for weeks which started getting worse on Friday. I thought it had just festered in to something, I'd get some quick antibiotics and I'd be good to go, right? WRONG. I had no idea it was actually the start of a new bug which I have named "The Death Bug." It starts off with a little cough, slight headache, some nose action, a few aches, you feel a little warm, and then BAM - you think you're going to die. I haven't been this sick for this long in years and years. As if that's not bad enough, poor Isabelle and Daniel also got The Death Bug. Then you know once three out of the five people in the house get it you just sit around staring at the other two waiting for them to fall. So far hubs and Henry are still going strong and I pray it stays that way! So needless to say, we had to cancel all our Christmas plans. No family parties. No holiday meals. No yummy desserts. No endless wine (just whines). When all was said and done though the kids still had an amazing Christmas morning and for that I am truly thankful. I will be EXTRA thankful though when this horrid bug finally leaves our house. Santa was VERY glad that "he" had wrapped everything last week! Did Santa deliver The Death Bug to anyone else this Christmas? The toys are purchased, the batteries are inserted, the Leap Frogs are set up, and as of tonight all the wrapping is officially done. In order to make it easier on Christmas morning to know which gifts belong to which child I bought three different kinds of wrapping paper. Isabelle's gifts are wrapped in Tinkerbell. Henry gets Toy Story while Daniel will be opening Sesame Street. I also made up a quick note from Santa with a small piece of their paper next to their name so they know which wrapping paper belongs to them. None of the kids can read yet but the big kids can recognize/spell their own names so I thought they would enjoy this. 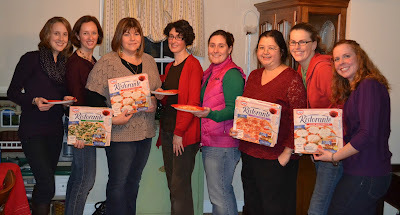 I recently had the opportunity to have a group of friends over to try out Dr. Oetker's Ristorante pizza. I had actually never tried the pizza before so I was hoping for the best as I prepared it for my guests. Imagine if I looked this cute preparing dinner every night? Luckily, it turned out to be great! The unanimous decision was that it was delicious. We devoured all of it so much so that we barely touched the cheese/crackers and chips/dip that I had also put out! My friends are good sports and will display pizza boxes whenever I tell them to. The Quattro Formaggi was my favorite! Ristorante pizza is also now available in Wal-Mart stores throughout Maine, Massachusetts, New Hampshire, Connecticut and Rhode Island so you can pick one up while you’re frantically finishing your holiday shopping! Also, I *may* have hid an extra pizza in the freezer to serve to the kids the next night for dinner and even they liked it (which is rare with my picky kids!). So I’ll definitely be purchasing this going forward maybe to slice up for small appetizers at parties or to serve to the kids (and me!) after a busy day. To enter, please use the Rafflecopter form below! Disclaimer: I am part of the Mom It Forward blogger network. Mom It Forward and Dr. Oetker partnered in support of this campaign. Dr. Oetker compensated me for participation in this campaign. However, all thoughts and opinions are my own. An Early Birthday Party for Henry! Henry was due in January but decided to arrive on December 27, 2008. I told him immediately that he would most likely always regret coming early. I feel like it's the worst timing with it being just two days after Christmas. The holiday itself is over and people are tired and partied out. So each year I've been trying to make the day special for him and pretty much failing miserably. Actually, for his first birthday we didn't do anything. I figured since he was just one I could get away with it. 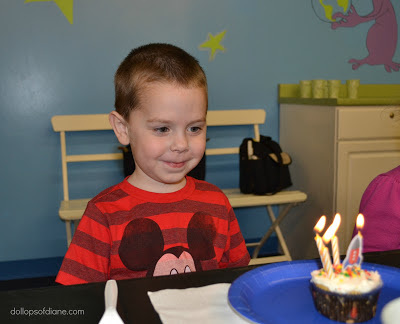 Then on his second birthday, I decided I would have a party a couple of weeks after his birthday in January. I thought it would be great since the holiday rush would be over and people would be excited for something fun to do. What I hadn't counted on was the massive snowstorm we would receive that day and no one would be able to make it. So then last year for his third birthday I decided to do a small play date on his actual birthday. I have a few teacher friends (who would be on vacation) so I invited them over with their children for a low key but fun party. 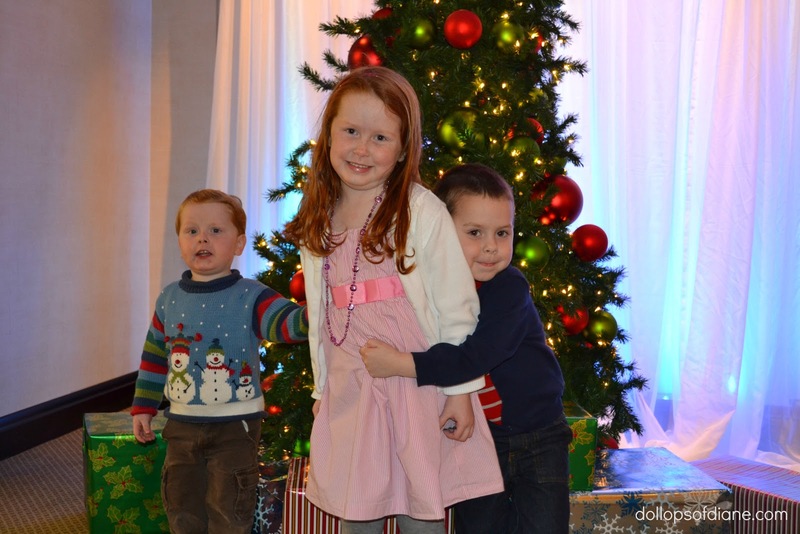 Although, I hadn't planned on more than half of them having children come down with the stomach bug and/or pneumonia. So this year WAS IT - I was going to (yet again) try something else and I was going to rock it (or so I hoped!). So we had an early birthday party at Kidz Wurld this morning for Henry with his friends. I even let Isabelle play hooky from school today so that she could come, too. I am so happy to report that it was a total success. The morning was full of lots of friends, lots of bouncing, lots of toys, and lots of smiles. Henry was then excited to come home and open his presents and then promptly passed out on the couch. A great day! I haven’t posted since the tragedy at Sandy Hook Elementary School. Honestly, I had no intention of writing a post related to it. I mean who am I to write about such a horrific event? I have no real connection to it. I didn’t know anyone there. I’m not mourning anyone personally. Yet, I feel like I can’t not write about it. Like so many of us, it’s something I can’t stop thinking about. I’m not an emotional person. I didn’t cry at my own mother’s wake or funeral. It’s just not the kind of person I am. 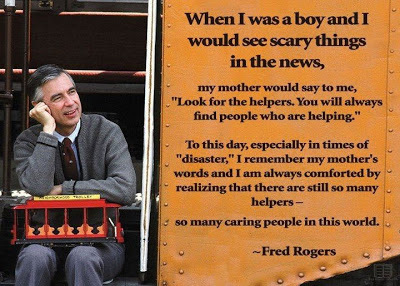 Yet, I found tears streaming down my face when I first read the news of the attack. 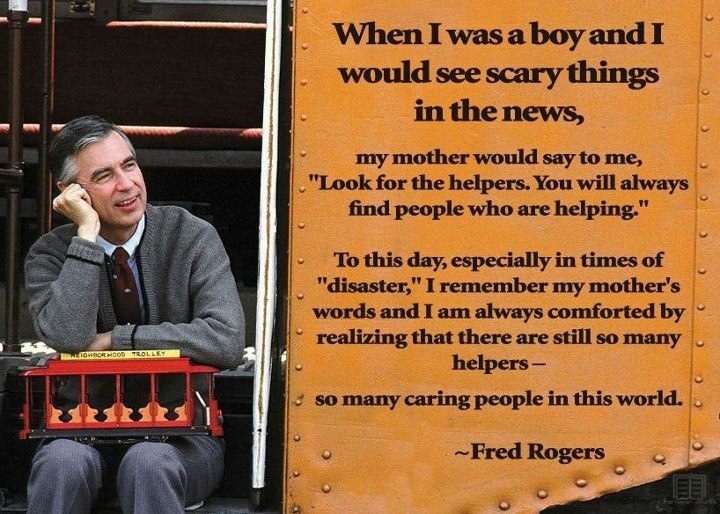 When something so horrible and senseless happens to children, I just don’t know what words to say. What I do know is that I’ve snuck in extra kisses with my children this weekend. I’ve been more patient and I’ve been more kind. Thank You Notes: A Lost Art Form? Yesterday in the mail I received a thank you from my cousin. Had I given her a present? Had I done something extra special for her? Nope. I had simply invited her to a party that I had. She came and had a great time and wanted to thank me for extending the invite. It was a nice note that absolutely did not have to be written (and mailed) but it was so nice to receive. It reminded me how my husband and I recently had one of our repeat conversations about how he thinks my family is crazy about thank you cards. 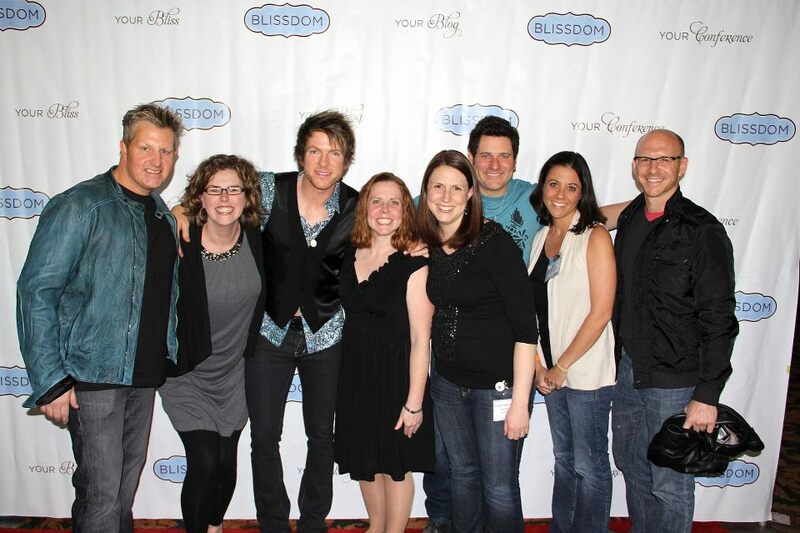 He said he’s never heard of people who write as many thank yous as we do. The older I get the more I realize that we might be a bit crazy about it. After all, by far the majority of thank yous I receive are indeed from my own family. However, it’s a kind of crazy that I want to be. It takes so little to say thank you and really only a bit more effort to write it. My mother raised me to write thank you notes for everything. After every holiday, birthday, event, etc. I can remember sitting at the table with her writing out thank you cards. It was just what we did. I am now doing my best to raise the next generation of thankers. 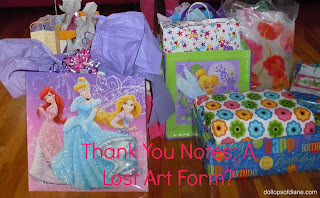 Every time my children receive gifts I make them write thank you notes. Obviously, they are small so we tweak the thank you accordingly. Isabelle and Henry dictate the message to me and I write it for them. They then color a picture or design on each letter. Daniel also scribbles his own personalization on his thank yous. I feel that it’s really important for them to add a personal touch to it. Beyond the whole obvious reason that someone did something nice for us and we want to acknowledge it, it’s rare to get regular mail that isn’t bills so a handwritten thank you goes a long way. So yeah, I guess I am crazy about thank you notes. I can only hope that when my kids are grown that they are crazy for thanks yous, too.